The Voicebot Says Alexa skill and the Voicebot Daily flash briefing are now available in Australia, Canada, India, and the.. The city of Henderson, Nevada, selected Dilli Labs to participate in its 2019 Startup in Residence program challenge of developing a..
TechCrunch is reporting that Alexa Developer Rewards are coming to France, Italy, and Spain. This comes just a week after.. Yesterday, March 5th, was National Pancake Day. 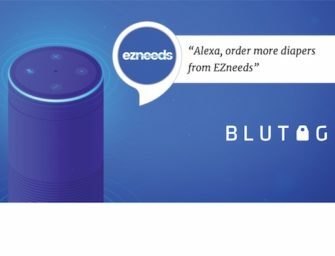 To help celebrate the holiday, Nutella announced that Alexa and Google Assistant users can request..
Amazon reported this week in a blog post that it is extending the popular Alexa Developer Rewards program to developers..
German digital media company, laut.ag, revealed to Voicebot last week that it has published over 1,240 Alexa skills, making it.. This morning Roku announced that its streaming player and RokuTV are compatible with Alexa, due to the creation of a Roku..
Last month, Voiceter Pro debuted the addition of Real Estate Listings on Echo Show devices for the company’s Alexa skills that..